FuboTV Review – The best option for sports fans? PlayStation Vue – Video game or streaming service? OverthrowCable is a resource to help people sever the ties with cable companies without losing out on their favorite content. The stranglehold that ISPs have had on consumers is coming to an end. Without true al la carte television, selecting the right services for your content requires a lot of research and time to make sure you’re truly getting what you want. 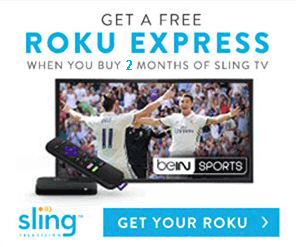 You’ve probably heard of Netflix, Hulu, and maybe even Sling TV, but what about the others? Playstation Vue, CBS All Access, FuboTV, Pluto TV, and countless more. Even if you did know all of the streaming services, the amount of time it takes to filter through each version of each platform to figure out what they offer is staggering. It shouldn’t be so difficult to cut the cord and only pay for content that you actually use. There’s no sense in buying a pupu platter if you only want rangoons. We built OverthrowCable from our own experience. After deciding to cut cable, we realized there was way too many options to go into it blind. We started a Google Doc for our top few options and, as we dug deeper into the rabbit hole that is streaming, the doc kept growing. It eventually turned into a database and an algorithm that could figure out the best option based on what we actually wanted to watch. Realizing how much money we could save, we knew we had to share our findings. This site is a result of countless hours of research and dedication to shift the focus of the cable industry from the pockets of executives and onto the consumers. We hope to share our knowledge and make cutting the cord as easy and cheap as possible for everyone. A revolution is upon us. Is it illegal to Jailbreak a Fire Stick? OverthrowCable is a participant in affiliate programs including Amazon Services LLC Associates Program. Your price is not impacted by this in any way, it is merely a means for us to afford to maintain the information on this site. Any opinions offered on this site are not influenced by these affiliate deals.